as we sink into formal depravity? There were a lot of women who were pregnant at the time of their detention. It was no obstacle to carry out torture. The delivery was carried out in inhumane conditions, often inside the same Centre of Secret Detention. After the birth, many of these women were disappeared and their children, in the majority of cases, delivered into the hands of the military or civilians related to the armed forces. This would not have been possible without the participation of doctors and nurses who were part of this system of appropriation and disappearance. * This is a permanent outdoor art exhibition in the Parque de la Memoria, Buenos Aires. 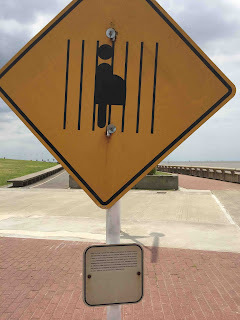 It is filled with street signs representing the various horrors and the history of state terrorism (that's how they refer to it on the signs). Horrendous. Thanks Susan for writing about it. This is a permanent outdoor art exhibition in the Parque de la Memoria. 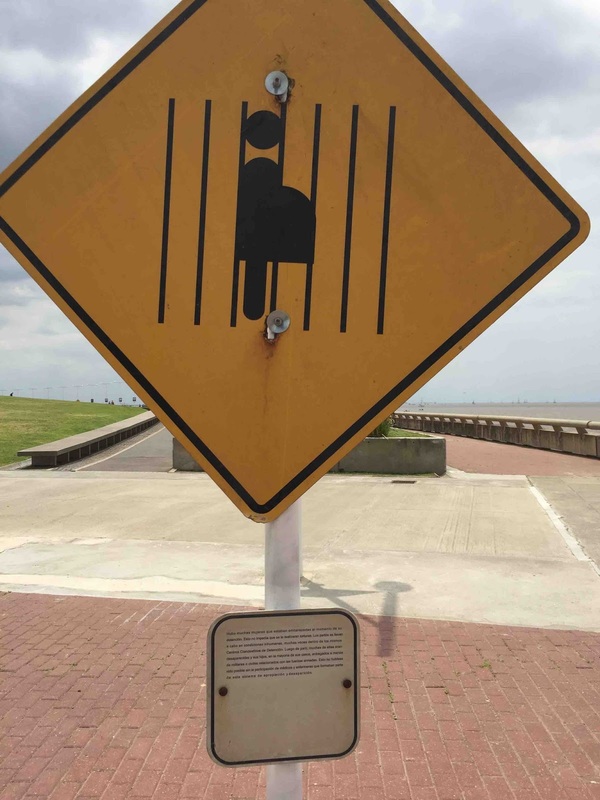 It is filled with street signs representing the various horrors and the history of state terrorism (that's what they call it).